Thanks to the high-quality translation from Elena, the daily downloads of our APP in Russian increased 550%, the Rating increased from 4.03 to 4.34, the Category Ranking increased from 102 to 7, and they are still growing. What a magic! 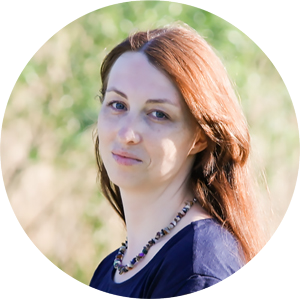 If you also want to localize your product in Russian, Elena is definitely your best choice. Elena did an excellent job for what3words. We asked her to perform some complicated linguistic coding exercises, which she completed observantly, thoughtfully and efficiently; her pertinent questions brought up issues that we hadn’t previously considered, and added value to the project. I would thoroughly recommend her services. I believe that ideas can change lives and inspire people to be the best versions of themselves. Ideas can later become products, apps, courses or books. But it all starts with an idea. And I love being the one who can spread ideas and share messages, because that’s what translators do. I love my job so much that I set aside a couple of hours each week to translate inspiring and motivating articles for my Russian weekly newsletter called I Love Mondays. Over the past year I got to translate articles written by Seth Godin, Greg McKeown, Mark Manson, Paul Jarvis and a whole lot of other inspiring writers. I have a blog where I share the lessons I learn while running my translation business as well as useful tips for those who need to get a translation. I’m also a co-host of #TranslatorsOnAir (otherwise why would the information about me be on this website? ), the first live talk show for translators and everyone who wants to learn more about this amazing profession. It was nominated for 2016 Proz.com Community Choice award as the best podcast for translators after its first season. But the most important thing about the show is that it’s our way to give back to the wonderful translation community and spread the word about our profession. Get an instant (and free) access to all our previous episodes!